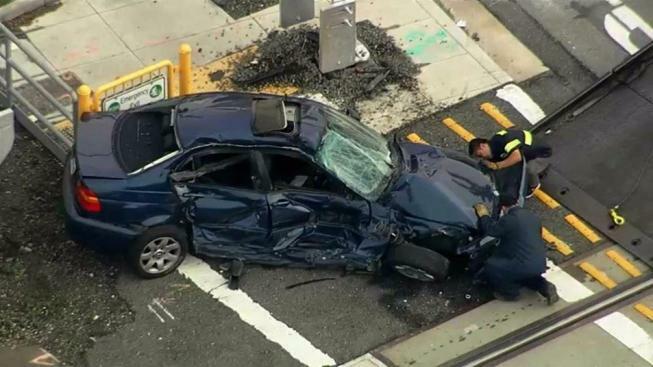 An unoccupied vehicle was struck by a commuter train in Burlingame Wednesday morning, according to a Caltrain spokesman. Northbound train No. 255 struck the vehicle at Broadway just before 8:45 a.m.
No injuries were reported. Trains were single-tracking through the area for roughly an hour but both tracks have since reopened. Trains were delayed by as much as 42 minutes as a result of the crash.